Strategic deterrence has been the foundation of U.S. security for decades, and today’s nuclear force remains safe, secure, reliable and ready, the commander of U.S. Strategic Command said on Capitol Hill this morning. 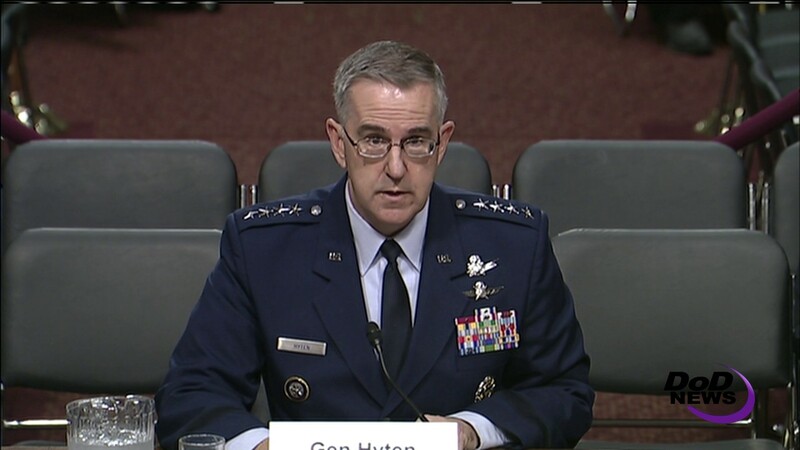 But in the 21st century, strategic deterrence is more than nuclear, Air Force Gen. John E. Hyten told the Senate Armed Services Committee. Strategic deterrence is integrating all capabilities in all domains across all of the combatant commands, government organizations and alongside U.S. allies, he said. The United States must stay ahead of its adversaries -- such as Russia, China, North Korea and Iran -- and maintain its technological and operational superiority by adapting and modernizing, he said. 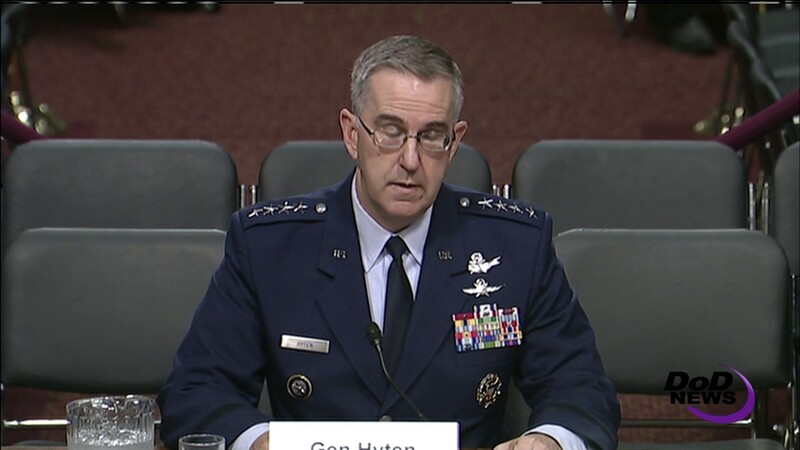 And the primary focus of U.S. deterrence and modernization must address the entire nuclear infrastructure, Hyten said. “First, the platforms -- the [intercontinental ballistic missiles], the submarines [and] nuclear-capable heavy bombers with their associated tankers. Second, the actual nuclear weapons themselves, and finally, the nuclear command-and-control architecture that enables the entire enterprise; they're all essential to the security of our nation,” he said. At a time when the nation’s adversaries have significantly modernized and continue to upgrade their nuclear forces, nearly all elements of the nuclear triad are operating beyond their designed service life, the general said. “Any recapitalization program delays will further diminish these capabilities and affect our ability to execute our mission,” he told committee members. Space is a warfighting domain just like air, ground, maritime and cyber, Hyten said, noting that the United States must normalize how it plans and operates in space. While the morale of the force is very high, the general said, its personnel understand the critical importance of the missions. Nevertheless, the nation faces significant challenges in sustaining the critical capabilities that underpin its strategic deterrent, he added.